nice music .good alarm clock but clock diapering after some time. i was looking for clock but its o.k. Great product. Good sound quality. Quick delivery. Must buy accessory could be Bluetooth receiver, I bought one and it works like a charm with Ducasso. Serves the purpose for this budget. Pros: Good looking , Decent Sound, battery operated. Cons: LED display should have some more digits. It does not display time while playing music. It looks stylish and the build quality is average. The sound quality is good. But the price seems to be little higher compared with the quality of the product. We can get branded product at the range of Rs.700/- to R.1000/-. This is a value for money ( may be expensive by couple of hindreds). The sound is quite good.The manufacturer need to work on the volume control Knob...if dust enters, the pot inside gets damaged and you may be able to hear only one speaker...I recommend this product. Product is heavy. Not recommended for traveling. Over Priced. Try another product with same price will get better than this. Awesome product, great service by infibeam. Multi port functionality of d speaker is really cool. I simply love dis product. 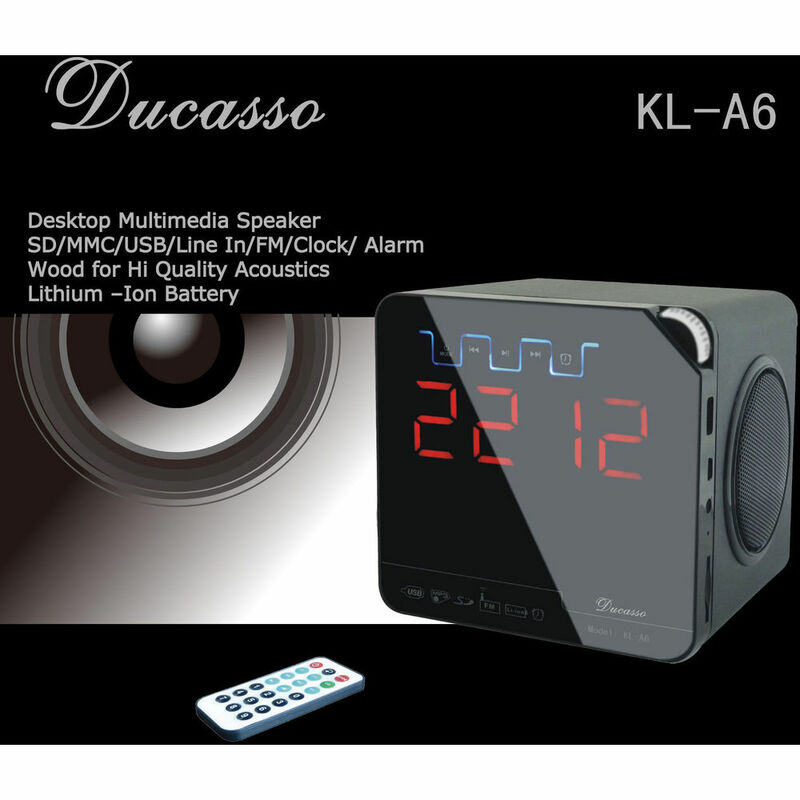 If you need a alarm clock as well as music player then go for Ducasso Black Boy Speaker & FM Player. IT has a good sound quality and at same time infibeam is offering a discount of 43%. I got the device on time with a safe packing. Good product, good service. This is a beautiful device through which I can listen music on a high volume, can tune in to FM Radio and at same time it's my alarm clock too. It's very easy to carry, where ever I travel I carry it. A multi-purpose device. It is wonderful and surprisingly delightful. basically I was searching for a speaker to play my mp4 and this is the perfect one I have got. 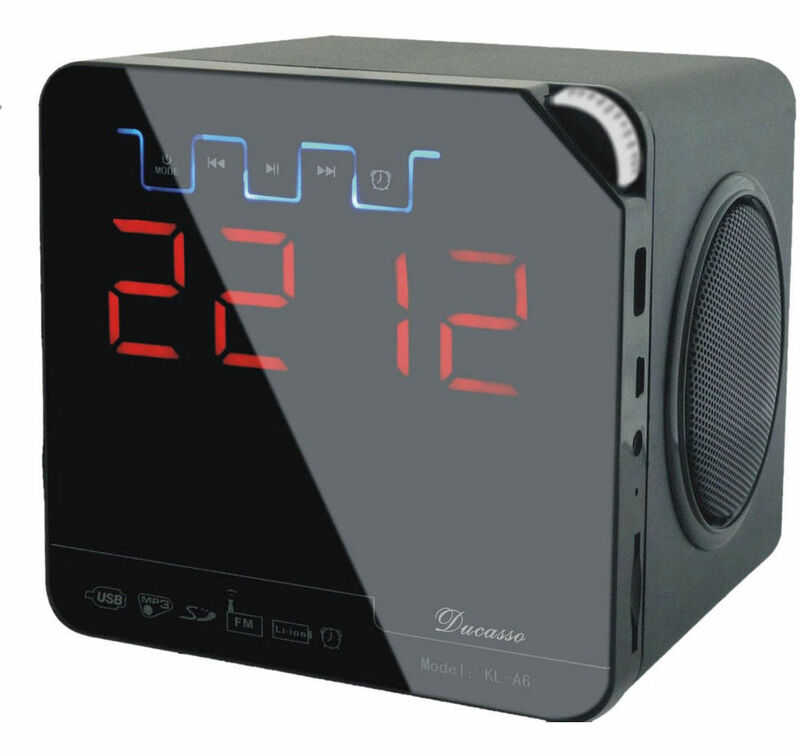 Additionally an FM Radio as well as a digital clock is a bonus. Infibeam's service of quick delivery is an added satisfication.